Everyone gets that feeling at around 2 or 3 in the afternoon. Unmotivated and tired. Work is piling up but you just can’t focus and it appears as though this problem can only be fixed by a nap. You have been told over and over that a quick 20-minute nap is the key to boosting low energy levels in the afternoon. Meanwhile, others swear by their midday cup of joe. By nature, a cup of coffee and a nap come across as mutually exclusive. It seems as though you cannot have both. There is a way though, to get the benefits of both a cup of coffee and a nap, therefore doubling your energy level. It is called a coffee nap! So, what is a coffee nap anyway? A coffee nap is when you drink a cup of coffee, and then go a take a 15 to 20-minute nap right after. 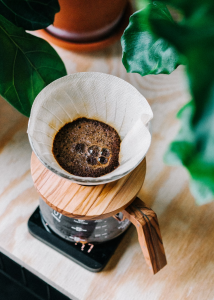 Common sense tells us that caffeine will keep us awake, but it actually takes around 20 minutes for coffee to go through the GI tract and enter your bloodstream. That is the perfect amount of time to sneak in a quick nap before the caffeine actually kicks in. Taking a coffee nap is as straightforward as it sounds. First, you have to drink a cup of coffee. This coffee needs to be drunk fairly quickly so the caffeine doesn’t enter the bloodstream too early. An iced coffee or a shot of espresso would be best. Then, you should immediately go take a nap. The nap should be no longer than 15 to 20 minutes to make sure you don’t go into too deep of a sleep. If you do, you will end up being more tired when you wake up. Don’t worry if you cannot fall asleep right away. Even if you lay down and enter an almost sleep-like state, it will be just as beneficial. Once you have awoken, the caffeine should be just entering your system, leaving you with energy from both the coffee and the nap.